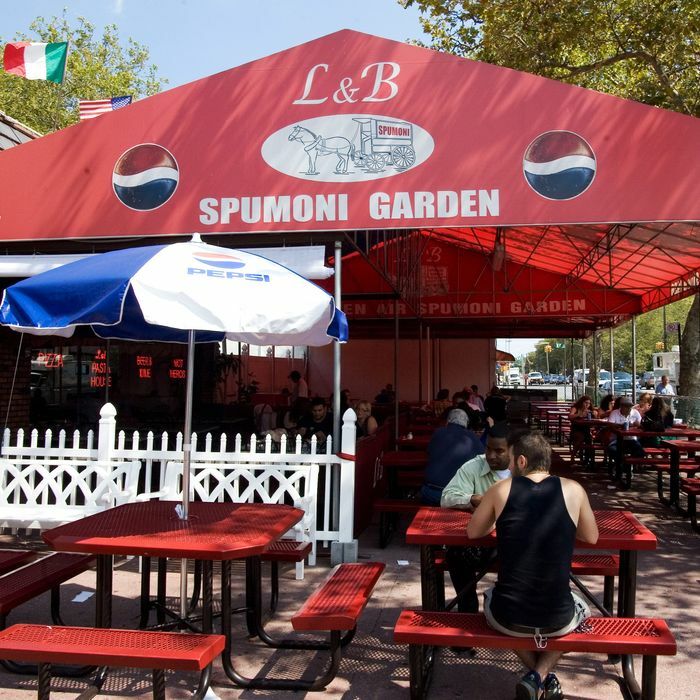 The identity of the man who killed L&B Spumoni Gardens co-owner Lou Barbati remains unknown beyond a vague description of a hooded white male in his 30s. The victim’s family is understandably not interested in waiting around and has offered a $50,000 reward to anyone who can help with his capture. Last Thursday at 7 p.m., the third-generation owner of the iconic pizzeria was shot five times outside his Dyker Heights home in what police now believe was a robbery gone wrong. At the time, Barbati was returning from work with $15,000 in cash on him — his widow says he would come home with large sums of cash about six times a year — and NYPD chief of detectives Robert Boyce says no other motive has arisen. The assailant, Boyce also said, was waiting for Barbati, who it’s been reported possibly had a pistol permit and a .38 revolver. Complicating matters, however, is the fact that the killer fled without taking any of the cash or jewelry Barbati had on him. The New York Times reports that police are investigating whether there’s a connection between Barbati’s untimely demise and a mob feud over L&B’s sauce recipe. The second day of Barbati’s wake is today at Scarpaci Funeral Home, and there will be a funeral Mass tomorrow.